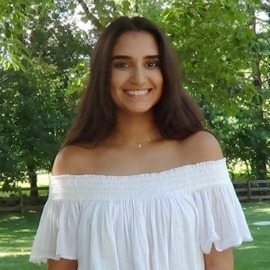 Leela Ayyar knows firsthand what it’s like to be the only girl in her math and science classes and clubs, and she’s working to inspire others who face the same situations. The Oakton High School senior is raising funds through the end of the month to publish “Elara, STEM Girl,” an illustrated book designed to inspire and encourage girls to overcome obstacles to becoming leaders in science, technology, engineering and math. 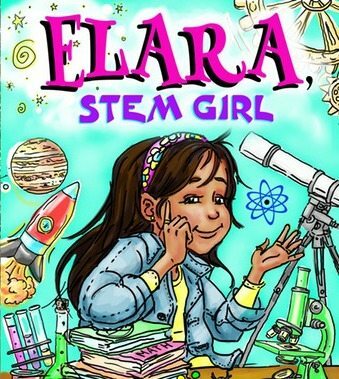 Geared toward girls between 4 and 8, “Elara” tells the story of a young girl who enjoys dress-up and dolls but is especially passionate about all things STEM. “This book is not only about encouraging girls to pursue and take interest in STEM, but also to keep them from getting discouraged as they grow older,” Ayyar said. As a girl with a passion for often male-dominated academic subjects, Ayyar has heard her share of disparaging comments in school. With dreams of becoming an astrophysicist, Ayyar found ways to tap into her inner confidence and grit to push through, but she understands the obstacles. According to Ayyar’s research, 80 percent of the fastest-growing jobs are in STEM fields, but women comprise only 24 percent of the STEM workforce. Ayyar hopes her book will contribute to a shift in those numbers — starting right at home. Inspired by her desire to help her fourth-grade sister, Ayyar’s book is an extension of her junior/senior research project into gender gaps in STEM careers. “Elara” addresses several societal issues surrounding girls and STEM — math anxiety, stereotypes, fear of failure and being the minority. “Elara” handles issues with a positive attitude, providing a role model for its readers to imitate. The 32-page book also includes quotes from female scientists. Ayyar has more than met her $4,500 Kickstarter goal for covering printing costs for about 1,000 books. Additional funds will be used to enrich the illustrations and build a website as well as jumpstart other books featuring girls in STEM. Contributors can choose from among several different levels of sponsorship for the first book and receive benefits ranging from printable activities to signed copies of the book to a visit from the author. The Kickstarter fundraiser ends Oct. 31. Ayyar is supported by her mom, Kristin, who has helped run the Kickstarter effort, and her father, Balan, who has always encouraged his daughter to pursue her STEM interests.